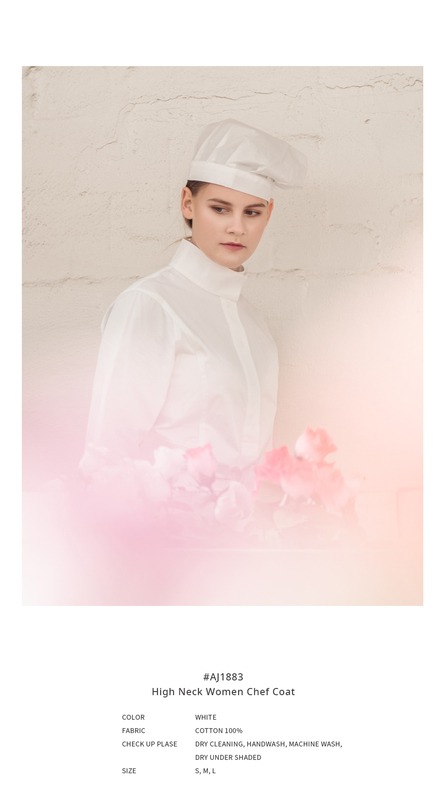 This is female chef coat with tidy high neckline. It is manufactured as slightly oversized straight fit. It is half open design. so that the cloth is little changed. The fabric is slightly thin and light of 100% cotton so you can wear cool. Choose text placement - [Required] Please select options. --------------------Left ChestRight ChestLeft Upper ArmRight Upper Arm. This is high quality 50s high density combed yarn of close weave so that the cloth is little changed.